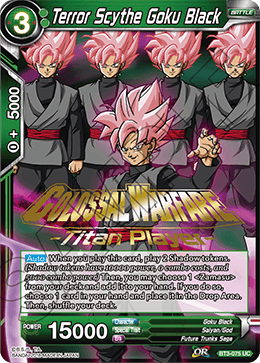 When you play this card, play 2 Shadow tokens. 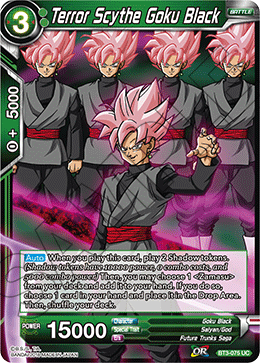 (Shadow tokens have 10000 power, 0 combo costs, and 5000 combo power) Then, you may choose 1 ＜Zamasu＞ from your deck and add it to your hand. If you do so, choose 1 card in your hand and place it in the Drop Area. Then, shuffle your deck.